Miles Davis’ Kind of Blue made me feel jazz and love it – the kind of blues (no pun intended) that I like that is, and I don’t like it all .. I think folks who say they don’t like it have heard a KIND that they don’t like and have yet to hear something so mellow and spiritual as tunes like All Blues, or Round Midnight ..I hope that is true. Today is a lovely day as the birds feed out on the balcony. I will return today to the deepest place in my heart and be fully present in all I do, guitar, washing clothes…all of it. Anything and everything I do is a good time to feel the ecstasy of being fully present with nature, not censoring or judging anything that you feel or think, but instead letting the buddha within you address each and every thing that comes up and offer you comfort – allow you to no longer hide anything from yourself..In realeasing all that is being submerging the knack for full joy like a child returns once again and you are home, above all the pain – personal and worldwide, – breakups, death, was, Ebola, racial divides…can all be there and yet you may have joy, passion, ecstasy, even the feeling of the first time you fell in love–only better because this doesn’t rely on anther person to love you, it is within you-you are both the lover and the lovee- this sounds impossible but it is in fact very possible. 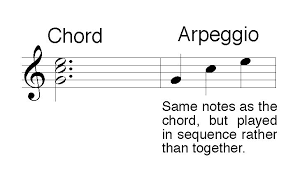 I posted a few weeks back that I was just learning arpeggios and now I am pleased to report I am learning them quite sufficiently. My teacher says that just knowing scales and arpeggios very well will automatically cause me to start improvising. 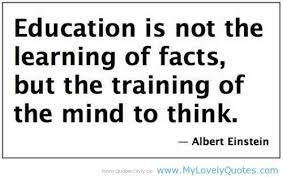 I don’t know if this is so, but I choose to believe it otherwise all I am learning is futile. That would never happen. Somewhere in me is a female Wes Montgomery–ha ha! I do study his videos and the amazing thing is how it looks so easy, and I would not claim to be able to play like him, but i can clone on his relaxed and happy demeanor, that should improve my playing instantly. Busy life these days but will get back to writing posts soon. (ones that actually say something besides just reporting my jazz guitar progress). I am posting a jazz guitarist video today to start my day of practice off right. The arpeggios are getting easier all the time and I think if I can break the sound barrier so to speak, that place at which most people would quit because they don’t see how any of the drills will make them able to play actual improvised jazz, or even to take the songs they currently know and play them in a much more enjoyable arrangement.. But I will go on because part of me knows that the day will come, in a month, a year, or 2 years, or more, when I will play well, when each song will be up to par, when I will have the gigs, respect from my fellow musicians, and most importantly, when I will use my new guitar skills to compose songs that I feel will make a difference – will help one or more people to learn, gain a new insight or be free of some mental anguish, due to the message and love in the song that I sing. I don’t mean that I will be a star or that my video will go viral, just that the ones who do hear my music will benefit from it. This is almost like going back to a time when live performers were everywhere, before they had computers, TV, or even radio. The world I want to live respects songwriters and musicians of dedication, not because they are famous or because the are “trending” on social media, but because their music is glorious, like a beautiful painting by a master painter. Help! Is this Hard Bop? Be Bop? Here is Russell Malone, great player. Hope you will give comment on my question above. I love this style, so as I learn to play it I want to be sure I am using the term that generally applies to this “type” of jazz . Today I have had more trouble with pain as I work on the arpeggios in each key. But that will not stop me. I took 600 mg of ibuprofen and used an icy hot patch. Here goes for 4.5 hours today. Also breaking it into nine sessions to avoid repetitive stress on the mussels and joints. Speaking of joints……ah…just kidding…no really. I could use one about now. This bear looks like the attitude I need today to get my practice done. Damn it, I am mad as hell that I don’t know the scale patterns yet and I’ll be darned if anything will stop me, so watch out world! Back the the afore mentioned book: When I spoke about some of its concepts to a former guitar teacher, he was NOT receptive. I believe some of the approaches require one to be a bit ZEN like. I am all for that.Perhaps I will revisit the book where he addresses pain caused by long hours of practice. …Readers, stay with me, over the coming posts I will be sharing my insights on zen and music, on making a difference in the world rather than complaining about politics and such, and especially on my continued love affair with jazz guitar, with being an adult learner, and breaking through my life long inability to stick to something and become excellent. To actually succeed via my own firm commitment. Which will make me feel like a phony, or too public, or, I don’t know – afraid I won’t be me anymore. That I will try to be what or who I think the people that like my music think I am. Or I will try to be like some other female jazz guitarist or singer. If you have gone from obscurity to a small degree of local fame, how have you kept on your original path, avoided a swelled head, and continued to work as hard as when you were just trying to get out of the starting gate? You see I am a very private person who likes to be soft and gentle–not all gutsy like those guitar shredders I have read about. Emily Remler in particular. Don’t get me wrong, she was a great player. But whatever she was doing in her life, she ended up addicted to H and died in her 30s. This is a big challenge for me as you can see. But life is either a daring adventure or nothing as someone once said. This is a good/great concert. Please enjoy. Upped my hours a day on my jazz guitar adventure to 4 to 5…yesterday made it to 3.5 staying up late as the day was full of to dos…better late then never.. I endorsed the 3.5 hours as success. Being a stickler for exact time will only make it harder for me to keep my firm commitment. Yes, I want to be my own “guitar coach”, keeping things on the side of a firm and strong work ethic, like an athlete, while also being kind and gentle with myself. Today I will follow the advice from my teacher at Monday’s lesson. He says, get your coffee and water and do your 3 or more hours of practice, write down what you do, where you left off, and if not all done today, continue where you left off tomorrow. And the BIG thing he said is, it is not just playing many hours every day that makes you good, it is playing with FOCUS. Put on blinders, and just focus on one thing at a time, finish it and go to the next thing. Avoid jumping around. If you think of a tune while doing a drill, record it so as not to loose it. But don’t stop the drill to spend hours composing a new tune. I found another blog called something like “my jazz guitar adventure” (not on word press), and was about to follow it when, oh no, he posted that he had not been playing in a long while and thus had not been posting. That is a cautionary tale: At my age, playing every day without stop gaps is the way to bliss. This is a way of life or nothing. Seeing the afore mentioneds photo, he was much younger then I, so he doesn’t take it as seriously perhaps, Not to judge… for the minute I make it into a “have to practice every day or else” kinda thing, it can lead to disaster. Instead I am making it, “I get to do this..play this amazing music, this beautiful instrument”. My guitar looks just like the one John Scofield is playing. Wish me jazzy guitar power for today I begin the triad arpeggios in all 12 keys.